This entry was posted in Bass Pedals, BOSS Pedals, DigiTech Pedals, Electro-Harmonix Pedals, Fuzz Pedals, MXR Pedals, Octave Pedals, Pedals by Brand, Pedals by Effect, Tuner Pedals and tagged Boss TU-2, Digitech Whammy, Electro Harmonix Pog, Electro-Harmonix Bassballs, Electro-Harmonix Big Muff, Jack White Gear, Jack White Pedals, Zvexx Wooly Mammoth on July 17, 2013 by 1969. This entry was posted in Chorus Pedals, Dunlop Pedals, MXR Pedals, Overdrive Pedals, Pedals by Brand, Pedals by Effect, Phaser Pedals, Wah Pedals and tagged Zakk Wylde Pedals on August 31, 2012 by 1969. This entry was posted in Dunlop Pedals, Fuzz Pedals, MXR Pedals, Octave Pedals, Pedals by Brand, Pedals by Effect, Wah Pedals and tagged Dunlop Slash Octave Fuzz, Dunlop SW-95 Crybaby Slash Wah, Slash Guitar Pedals, Slash Pedals on July 25, 2012 by 1969. This entry was posted in Best Guitar Pedals, Compression Pedals, Dunlop Pedals, MXR Pedals, Pedals by Brand, Pedals by Effect and tagged David Gilmour Pedals, Eddie Van Halen Pedals, MXR Dyna Comp, MXR Super Compressor, Stone Gossard Pedals on June 28, 2012 by 1969. This entry was posted in MXR Pedals, Pedals by Brand, Pedals by Effect, Phaser Pedals and tagged MXR Phase 90 on May 24, 2012 by 1969. This entry was posted in Distortion Pedals, Fulltone Pedals, MXR Pedals, Overdrive Pedals, Pedals by Brand, Pedals by Effect, Visual Sound Pedals on November 8, 2011 by 1969. 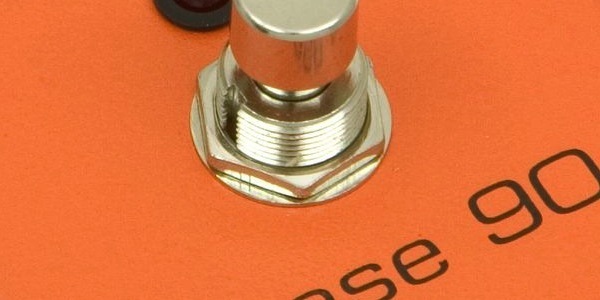 This entry was posted in MXR Pedals, Pedals by Brand, Pedals by Effect, Phaser Pedals and tagged Dave Grohl Pedals, Foo Fighter Pedals, MXR Phase 90 on August 12, 2011 by 1969.